“When is Children’s Retreat?” is a question often asked in the heat of the summer by the youngest members of the Churachandpur community. We still have six months to wait…” You can feel the excitement, but for so many children, the waiting is hard because of the memories they made. Held in January each year, Children’s Retreat engages young students with a week-long experience that includes games, music, drama, teaching, entertainment and refreshments. The lessons focus on living a life of moral integrity, pursuing dreams in passion, being a wise member of a community, and learning from adult mentors. For many children, it’s the first and only time they get an organized program with others their age outside of school. Since the first days when we offered Children’s Retreat – when we anticipated 1,000 children and ended the week with 2,000 – this program is a tradition. 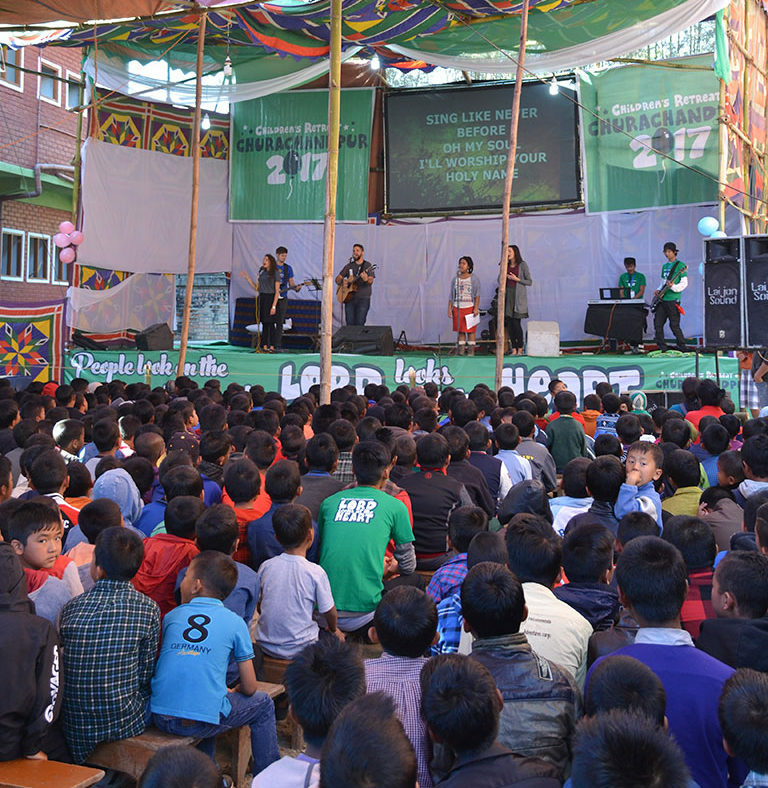 Today, we continue to serve more than 4,000 children each January in three locations in Northeast India. The experiences build on one another and the children carry the memories with them throughout the year.